What is today’s big trend topping the chart of content distribution on social media? Video. Yes it is video. With a dramatic rise to the top over the last few years, video has the power to say what words will not be able to convey. And this is particularly true on social media, where Facebook has over 8 billion video views per day. Where jokes and wall posts between family and friends once dominated, video marketing and advertising have moved in to stay. All content, when shaped properly, can provide a wide range of information to consumers. Video, however, can pack a punch other formats cannot, putting immense power into the hands of social media marketers. Why Video Wins in Social Media? Think the phrase “a picture is worth a thousand words” only applies to still images? It does, but that’s because video is worth so much more. According to a study a video is worth 1.8 million words, a figure significantly greater than one thousand. Whether true or not, video most certainly comes with a lot of qualities that leave other forms of media behind in the dust. It doesn’t take long to draw attention to a video project. As a clip plays on Facebook, viewers instantly notice, even if they don’t keep watching for long. In fact, one third of all online activity involves watching videos, providing a great outlet for brands eager to attract guaranteed viewers. Video also accounts for over 50% of all mobile traffic, with that number expected to grow to 75% by the end of this year. 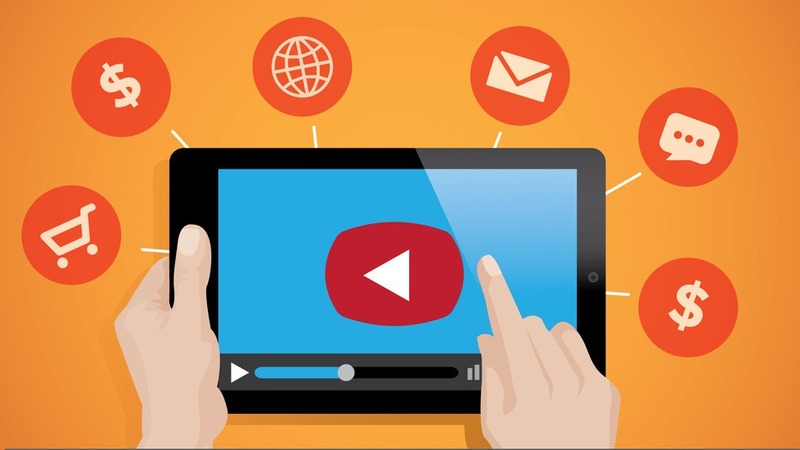 No matter what you’re hoping to advertise, there’s no denying it: video ads are attention-grabbing. Today’s youth who are born in the early days of social sharing, instant messaging, and email are far more likely to hang out on Instagram or Twitter than their older companions. This phenomenon works well for video marketers: Generation Y grew up with digital marketing and is perfectly positioned as interested consumers. Millennial are 60% more likely to watch a video than read a newsletter and 76% take this a step further, actively following brands and companies on YouTube. Furthermore, millennials are also more likely to use video to aid in purchase decisions, both initially and when comparison shopping. There are few video sites as compared to content sites which numbers in millions in India alone. With YouTube clearly leading the pack in most English-speaking countries, it’s easy for companies to hone in on the video market. Accessibility doesn’t end at YouTube, however. If you’ve ever spent time on sites like Facebook, you’ve also noticed social media’s biggest draw for video marketers: auto play. Introduced in 2014 as a pilot that went live shortly after, Facebook doesn’t give you the option of starting a video; that choice is made for you. This allows the site’s nearly 1.8 billion users immediate access to video content, whether desired or not. Through the autoplay feature, marketers can now count on thousands of unavoidable viewers, increasing reach for companies around the world. The merits of video are far from unknown. After all, countless movies and TV shows are released around the world each year for a reason: they’re entertaining, and people love them. Video can capture the imagination in a way many forms of media can’t, providing entertainment while still making a point. In fact, recent marketing trends are emphasizing fun over salesy advertising, as well. Take, for example, Buzzfeed’s Tasty. Started as a concept to increase viewership, the company’s cooking tutorials spread like wildfire, leading to countless brands following suit. The appeal in this trend shows, too: video is shared over 1,200% more than pictures and articles combined, showing just how captivating social media consumers find a simple video advertisement. From Tasty’s aforementioned cooking commentary to how-to videos and tutorials, video can do something amazing that stand-alone images cannot. A few frames can provide all kinds of information on anything from baking cream cheese-stuffed bagel balls to teaching auto novices how to install new windshield wipers, an approach many stand-alone articles struggle to navigate effectively. Video marketing exists in a wide range of categories, and many of them are as informational and educational as they are entertaining. Many educational videos are intended to broaden a viewer’s mind on a given topic, product, or company, providing a benefit that goes beyond simple advertising. With the power to educate as well as entertain, video is far more likely to keep viewers interested and engaged than its competition. Social media is all about interactions, mimicking the basics of real life relationships through a digital format. This means a place to talk, connect, provide thoughts and feedback and, of course, share. This is especially easy with video; all it takes is a click or two to share a great post with friends, family, and followers. Video is more likely to be shared, too, with 92% of mobile video consumers taking initiative to share findings with others. On social media, everything is easy to share, but video carries a certain cache. It’s easy to watch, fast to process, and immediately accessible with social media auto play features, ensuring the party with whom you’re sharing actually invests time in your post. And this sharing makes a difference: companies that use video enjoy 41% more traffic than those that do not. As the vast majority of digital marketers know, all content is not created equal. A video project for the sake of creating video isn’t going to win any awards, let alone generate increased interested from your target audience. Instead, your video ambitions need to be creative, unique, and perfectly put together. For many marketing teams, this means thinking outside the box, trying new approaches, and breaking away from industry norms in order to truly make a statement. Succeeding in video may not be easy, but this doesn’t mean creating an engaging, desirable video is impossibility. You may need to try something new, like animation, or rely on assistance from a professional production firm in order to truly make a splash on social media. Are you ready to get your feet wet in the wide world of social media video marketing? Great – so are we. With help from THEJIGSAW, you can create a message that sticks, giving your fans and followers something amazing to talk about.